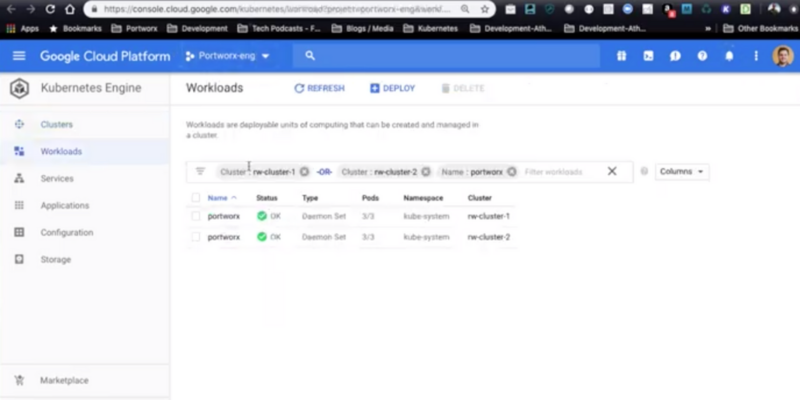 This demo shows how Portworx Disaster Recovery (PX-DR) is used to asynchronously migrate the ​application (MySQL in this case) and data together between two Kubernetes Clusters in a GKE environment. By creating a schedule policy, application and data can be incrementally migrated from an active to a standby cluster. When the active cluster is down, applications which are already ready on the standby cluster can continue without any downtime.